I thought I had just called it. Squashed it. Put an end to it. I came down from upon high just a couple days ago and made the proclamation that no movie, ever again, will have a character with a secret, meet with this character they are keeping the obvious secret from and say “wait… I have something I have to tell you” and then NOT tell them. 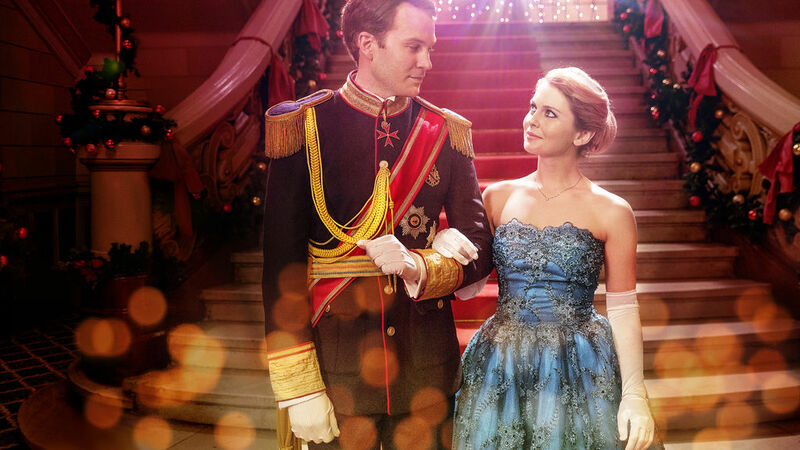 A Christmas Prince obviously did not get the memo. But that’s okay, because ‘A Christmas Prince’, from Netflix no less, clearly studied every Christmas movie from Hallmark / Lifetime / Ion / UPTv / TVOne and BET and copied them ALL. This thing is almost a parody of a Hallmark Christmas movie. Say hello to Amber (Rose McIver) the junior magazine editor who just wants her big writing break. She gets this break as the current Prince of Aldovia has mere days to claim the throne of his late father, who has been dead almost a year, or it goes to the next in the line of succession. Plus there are all kind of juicy tales about how Prince Richard (Ben Lamb) is a party mad ladies’ man. Amber only gets the story because she’s the one staff member willing to leave her family around the holidays. So Amber makes it to Aldovia, and somehow manages to sneak into the palace as the tutor of bratty young Princess Emily (Honor Kneafsey), who’s getting her Tiny Tim on with her crutches and wheelchair. Oh… Amber is about the get the scoop of a lifetime. But then she meets… him. The tall, dashing, horse-riding, piano playing, orphan child loving, deep emotion feeling Prince Richard. Turns out the Prince is nothing like the tabloids paint him out to be. Plus Amber has become fast friends with Princess Emily who just loves her to death. Now Emily is having second thoughts about her big scoop, until she uncovers a BOMBSHELL!!! A bombshell that will set her career into orbit, and probably destroy the man she loves. I guess. Love wasn’t developed all that well in this one. What should she do? She would tell Richard, which she tried to do, but you know how that works in these things. No problem… the comically evil Cousin Simon, who is next in line, and vampy Sophia, Richards’s ex-girlfriend, will take care of it for her. And now love, and maybe even the crown, is lost… until it isn’t. So sure, this movie is all kinds of terrible, but we have to get a shout out to two of the greatest villainesses in modern cinema history as this movie blesses us with The Borg Queen (Alice Krige), and Ursa of Krypton (Sarah Douglas), in the completely thankless roles of Richard’s mom and the Palace Nanny respectively. What a waste of some rock solid evil. Back to the movie, the vomit worthiness is pretty solid. It’s very festive, lots of snow, snowball fights, incessant Christmas music, Amber’s deli owning dad was kicking the cryptic old dude knowledge, and while the kid has us concerned early that she was going to be an unbearable brat, but she turned out to be most pleasant character in this movie. So while the minds behind this got all that stuff right, because they have obviously watched a lot of Hallmark Christmas movies, it’s just as a regular movie is where this film suffers. You like semi-authentic characters? Then look elsewhere please because from the Smedley Whipflash villains to the Richard Truehart hero to the gay bestie, we will experience nothing except fake cutouts of real people which even got a little tiresome in a Romantic Christmas movie. Think because you’re watching Netflix you might get a few narrative curveballs? Nope, painfully predictable from start to finish! Well… maybe there is one little curveball… but it ended up leading to the “I have to tell you something” scene so we disqualify it! Do you like irresponsible behavior? That we have... say like Amber taking Emily, the severely disabled cripple, on an unsecured, murderous tree lined toboggan ride down a Class G slope. Or Amber constantly shooting cell phone video of these poor folks most private moments. You like low cut Chuck Taylor’s? So does Amber! To the point she even wears them to formal dinners. Now I’m no fashionista, but come on Amber… not saying you have put on five inch stilettos, but surely you have a pair of tasteful flats in your bag? What can we say? The romance was undercooked, the story was painfully predictable and Ursa and the Borg Queen had next to nothing to do. Only Princess Emily and Chuck Taylor come out of this thing in good standing. Vomit worthy perhaps with its Christmas elements firmly in place, but maybe we should leave these movies to the professionals, Netflix. This was watched in part because of all the trolling Netflix did, on ITS OWN VIEWERS. 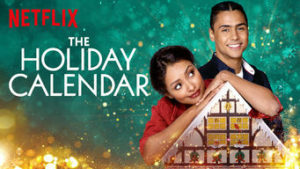 To those who watched, Netflix asked “Who hurt you?” It’s a rhetorical question, the answer being Netflix (let’s give them a hand for getting into the christmas romance movie genre) Hallmark, Ion, Lifetime, etc. We have been programmed to expect certain things from Christmas movies, and Netflix did their homework. Hire B list actors? Check, although fans of I Zombie might disagree. Believe in the power of Christmas? This movie has that in spades, I mean coronation day IS CHRISTMAS. Wouldn’t people (royal loyal subjects, plebians, the legislature) be otherwise occupied? But whatever. Most importantly the movie sticks to the belief that if the 2 leads aren’t together yet, the movie isn’t finished. (SPOILER!) To which I probably have the most comments. The movie actually spent time developing the relationship between Princess Emily and Amber and one actually believes there is genuine feelings and legitimate caring going on between these two. Which means the writers/show runners/actors GET that eventually the audience has to buy into the couple. To which this movie spectacularly fails, I feel we get more about Sophia and Prince Richard than Amber and Richard. I mean there couldn’t have been more than a handful of conversations between the two. But due to very effective marketing and viral trolling, I’d expect a sequel “A Christmas Prince Engagement” perhaps or some such nonsense. I mean, what do I know?